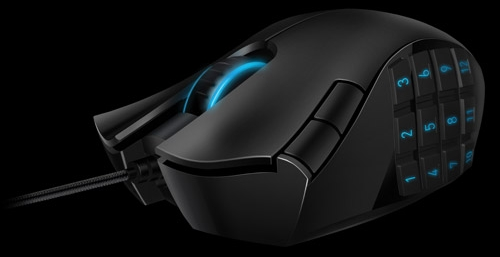 Razer introduced a 17-button mouse for MMO’s at the Gamescom expo. Named Naga, the mouse has a twelve-digit keypad built into the left side of its shell – the perfect spot to keep your thumb busy. It connects via USB and features a 5600dpi 3.5G laser sensor, 1,000Hz ultrapolling / 1ms response time, a maximum tracking speed of 200 inches per second and Teflon feet. To further expand the Naga’s functionality, there are MMO-specific software add-ons, you can have unlimited character profiles, and you can stack commands on any given mouse button by defining a modifier key. For instance, by holding down a keyboard key, you can configure and execute several layers of commands with a single mouse button. For the curious, the Razer Naga’s dimensions in millimeters are 116L x 69W x 41.6H. The company says it will be available online “soon,” and will be shipping worldwide for $80. Its brewing, its coming, ..what is it??? The Register has this on a new external graphics solution for laptops! Could this finally be the answer for laptop gamers? 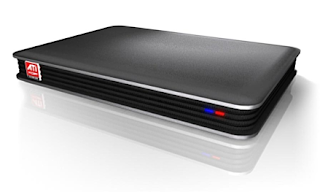 AMD used the Computex show in Taipei this week to propose XGP – eXternal Graphics Platform, a slimline box you connect your GPU-lite laptop to when you need more graphics horsepower. Fujitsu Siemens (FSC) was on hand to demo the concept with its Amilo GraphicBooster, an AppleTV-like unit with an AMD ATI Radeon HD 3870 GPU built in and hooked up to 512GB of GDDR 3 memory. The box can drive four displays simultaneously, the company claimed. 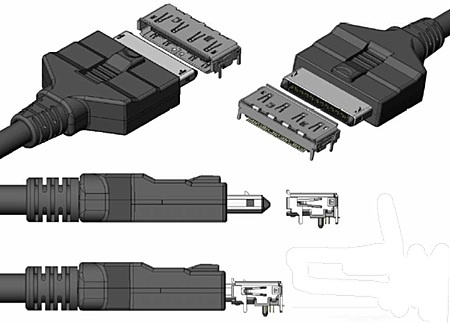 AMD’s pitch is that users will be able to connect their slim’n’light laptops to an XGP, which will supply the level of graphical grunt that they don’t need when they’re on the move and, more importantly, running on battery power. XGPs are designed to be hot-pluggable, the driver knowing about and enabling the use of the discrete GPU as soon as it’s connected to the host. With that multi-monitor support, XGP will undoubtedly also be pitched at businesses who want to give their laptop-equipped workers multi-display desktops. Of course, this is the same notion companies like DisplayLink are peddling, but they’re delivering multi-screen support over USB using the host system’s GPU. AMD’s approach – since it’s in the business of selling more graphics chips – is to add a second GPU to the system. That said, Fujistu Siemens has its eye on the consumer market – we understand it’s pitching the technology to Dixons and other big retailers – as a way to allow ordinary punters to effectively upgrade their older laptops’ graphics capabilities. The technology doesn’t require an external monitor – the XGP can render images on the host laptop’s own screen. Much will depend on the extent to which AMD pushes XGP as part of its ‘Puma’ notebook platform, and engages with bodies like the PCI SIG to turn XGP into a true standard. At that point, we might see all those Intel-based laptops taking on the technology. News @ the BBC website.. Playing a certain type of music can enhance the way wine tastes, research by psychologists suggests. The Heriot Watt University study found people rated the change in taste by up to 60% depending on the melody heard. The researchers said cabernet sauvignon was most affected by “powerful and heavy” music, and chardonnay by “zingy and refreshing” sounds. Professor Adrian North said the study could lead retailers to put music recommendations on their wine bottles. The research involved 250 students at the university who were offered a free glass of wine in exchange for their views. The white wine was rated 40% more zingy and refreshing when that music was played, but only 26% more mellow and soft when music in that category was heard. The red was altered 25% by mellow and fresh music, yet 60% by powerful and heavy music. The results were put down to “cognitive priming theory”, where the music sets up the brain to respond to the wine in a certain way. FOR ANYONE who has spent hours trawling the Net for hacks that unlock GSM mobile phones, the Simable is a gift. It unlocked the INQ’s Nokia N95, for example, in seconds. The reality is that most handset vendors â€“ particularly Nokia, Samsung and LG, have been getting much slicker at ‘locking’ GSM handsets into the particular network which supplied the mobile in the first place. That can prove quite frustrating especially given that UK network operators, for example, are locking their post-paying customers into 18 month contracts. So you can’t easily take your new phone to a new network. Robot dog, if it makes the army, could we see it in COD one day? Boston Dynamics' project to create "a robot with animal-like strength, speed and mobility" seems to be firmly on track judging by an astounding new video demonstration. The company was contracted by the US Department of Defense with the aim of creating a quadruped pack-robot capable of carrying a soldier's kit into battle, while traversing rough terrain including slopes of up to 45 degrees. Earlier videos of "Big Dog" showed a Star Wars cast-off trundling across various flat terrain, but the latest video indicates the team is making good use of its $10 million Defense Advance Research Projects Agency (DARPA) award. The robot now appears eerily lifelike, bouncing along like a demented Bambi, its legs splaying and bending as it slips on ice. Its movement looks so real that we actually sympathised with the robot when a researcher kicked it over to demonstrate how it regains its balance. According to Boston Dynamics the new version of the robot can carry 154kg, triple its previous load. Sadly though, there's no word yet on when Big Dog will be carrying ammunition into battle, let alone when we'll each have one to carry our shopping home. No need to whine anymore about the little wire that connects the Wii console’s main Remote to the Nunchuck as gaming peripherals manufacturer Nyko has created a wireless alternative!! A wireless dongle that slots into the Remote at the point where the Nunchuckâ€™s cord would normally connect. The unitâ€™s powered by two AAA batteries. The Nunchuck slots into a specialist holder with a cord wrap at the bottom, which keeps the Nunchuck cable compressed and tidy. Makes the Nunchuck look like a joystick!